We here at the Queens NY Hypnosis Center consider it a privilege to help people who are committed to improving their lives. 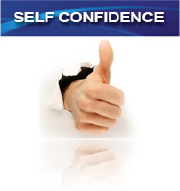 We offer programs that combine Hypnosis, Neuro Linguistic Programming (NLP), and Life Coaching. As Queens foremost physician referred hypnotist, Eli Bliliuos, the founder of The Queens NY Hypnosis Center, is committed to facilitating profound and accelerated change in his clients. Clients seek out hypnosis for many reasons including quit smoking, lose weight, confidence, motivation, sleep, insomnia, stress management, nail biting, sports performance and improvement, panic attacks, phobias and fears, public speaking, self-improvement, panic disorder, regression therapy, memory improvement, study habits, surgery preparation and recovery, improved creativity, pain management, performance anxiety, stuttering, fear of flying, addictions, concentration, guilt, grief, sadness, procrastination, relationship issues, child birth, and empowerment. We also provide hypnosis training, in the form of hypnosis classes and video hypnosis training, to clients who want to learn hypnosis and the many hypnotic techniques, including self hypnosis, which will enable them to help others as well as themselves. For those who are unable to travel, we offer hypnosis downloads, hypnosis CDs, online hypnosis, webcam hypnosis, and phone hypnosis sessions. Hypnosis allows our clients to accomplish positive change and success from within. "Therapeutic Hypnosis is proven to be the most effective and fastest route to solve emotional issues!" Hypnotherapy was 93% after only 6 sessions! Unlock the power of your subconscious, and free your mind to accomplish amazing things! Hypnosis is a completely natural and healthy way to change unwanted behaviors and to improve quality of life. While in Hypnosis, positive suggestions can be directed to the subconscious mind, making it possible to eliminate limiting beliefs and counter-productive habits in a very short period of time. Though relaxed, clients remain aware and in control. Your Queens NY Hypnotist is your guide through this amazing, healing journey, and you work together every step of the way. By utilizing either our single therapy sessions or our specialized combination sessions, clients find a simple and natural transition into their desired state of positive change. The Queens NY Hypnosis Center is also proud to offer Past Life Regression and Life Between Lives sessions. Our New York City Hypnosis Center and Queens NY Hypnosis Center always strive to provide the best hypnosis sessions and the best hypnosis training to clients in the tri state area including New York City, NYC, Manhattan, Queens NY, Brooklyn NY, Staten Island NY, Bronx NY, Long Island, Nassau County, Suffolk County, Westchester, Orange County, Rockland County, Pennsylvania PA, Connecticut, and New Jersey NJ. 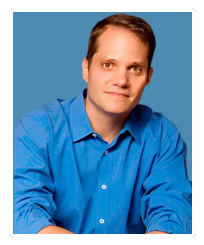 As one of the most prominent hypnotists in New York, Eli Bliliuos also travels within the United States and abroad to provide unparalleled hypnosis training and sessions. "I've always had weight issues, and I always will. I just can't get past this weight, it's genetic. My parents were overweight and so am I." Does this belief sound familiar? A belief is simply a thought that's been made a habit. Some beliefs have been so habitualized that you don't even notice them anymore. By utilizing hypnosis, we can help identify and eliminate beliefs that do not serve the client. Binging and Overeating are often tied to emotions and feelings like loneliness, sadness, anger, frustration, boredom, and depression. Much the same way you would not put gasoline into a car in response to a check engine light, feeding a feeling with unhealthy or large portions of food does not address the emotion you are experiencing. 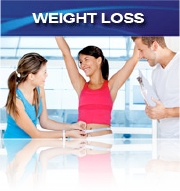 The weight loss hypnosis Queens NY program can help you break the cycle and allow you to eat for refueling and survival only. Obesity rates are at an all-time high. Statistics vary, but approximately 65% of Americans are overweight. Why is it that so many of us are overweight? There are several major unconscious limiting beliefs or factors that keep us overweight. I don’t deserve to be at my ideal weight. Others do, but not me! I’ve always been overweight. In fact, many of my family members are overweight. The good news is that genetics is responsible for only 35%, which means 65% is due to our environment/our choices. Attention/Power. Sometimes people feel weak or unnoticed. Weight gets them noticed. And to some people, negative attention is better than none at all. Chastity. Many young women, particularly victims of molestation, gain weight to deflect unwanted sexual advances. To reward/entertain yourself. This also can include feelings of loneliness or boredom. These are limiting beliefs that we can be free of. The lose weight Queens NY hypnosis program can help you identify what triggers you to eat and allow you to respond appropriately. Your subconscious mind will help you make the healthy choices that allow for accelerated and positive change. Queens NY Hypnosis can help reprogram your mind and facilitate behavioral change. Do you reach for a cigarette when you are bored, depressed or stressed? Do you smoke right after work, during a break, after a meal, or first thing in the morning? Do you find that you automatically reach for one when you are having drinks, walking, or on the computer? How many times have you thrown away your “last” pack of cigarettes, only to find yourself waiting in line to buy another one? Logically and consciously you know that you want to quit smoking for all the right reasons but you don’t have the will power. 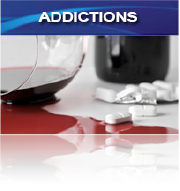 The Queens NY stop smoking hypnosis program can help you reprogram your subconscious mind and remove your emotional, ritual, and physical connections to smoking. Hypnosis can help bring your subconscious mind into alignment with what your conscious mind truly desires. Sessions available in New York City and Queens NY, NY. The leading cause of preventable deaths in the U.S. is smoking. Approximately 1 out of every 5 deaths in the U.S. is attributable to smoking. 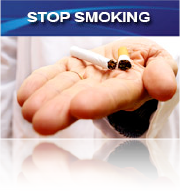 Approximately 400,000 Americans die per year from a smoking-related illness. The average smoker spends about $1,825 a year on cigarettes. So why do so many of us start, and continue to smoke? There are several major unconscious limiting beliefs or factors. These are limiting factors/beliefs that we can be free of. 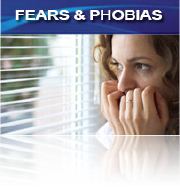 Queens NY Hypnosis can help reprogram your mind and facilitate accelerated behavioral change. The NYC Hypnosis Center offers thorough and expert hypnosis training in Midtown Manhattan in a friendly, small-group setting. All classes are experiential, educational and enlightening. You become a Certified Hypnotist in our core training after 8 days of intensive class instruction and 140 hours of independent study. The training includes dynamic instruction, hands-on practice and supervision as well as individualized mentoring. Maybe you have heard of an athlete that sustains an injury and continues playing. Only after the game or the competition are they aware of the intensity of the pain. How does this happen? This is the effect of the mind influencing the perception of pain. The mind was preoccupied with something else, and the pain was not perceived by the mind. When the distraction of the game or competition is gone, the mind then perceives the pain that was there all along. But when the mind is distracted, the perception of pain diminishes. With hypnosis we are able to distract the mind from the pain. We can use hypnosis to focus on other perceptions and change the intensity of the feeling to decrease the discomfort. Comparative efficacy studies have demonstrated that hypnosis is often more effective than biofeedback, relaxation, cognitive behavioral therapy, acupuncture, or morphine for both acute and chronic pain with 75% of those who use hypnosis experiencing some relief of pain (Patterson & Jensen, 2003). Hypnotic techniques have proven useful for pain associated with burns, cancer, invasive medical procedures, headaches, musculoskeletal conditions, irritable bowel syndrome, and fibromyalgia (Haanen et al., 1991; Lynch, 1999; Montgomery et al., 2000). Hypnosis has demonstrated particular utility for reducing cancer pain, including bone marrow transplant pain and coping with invasive procedures associated with cancer treatment (Ernst, 2001; Handel, 2001; Lynch, 1999; Marchioro et al., 2000; Pattison, 1997; Renouf, 1998). Childhood cancer patients suffer less pain when placed under hypnosis, scientists have claimed. Children who have been hypnotized in trials reported they had less pain from medical procedures as well as cancer-related pain. Hypnosis can help reprogram your mind and facilitate change.